From the grandest spaces to the smallest details, residential or corporate, we handle every aspect of each project with care and professionalism. Whether you are simply refreshing a single room or need an entire house filled with luxurious interior design, please get in touch with us so we can create a space that will take your breath away... every day. 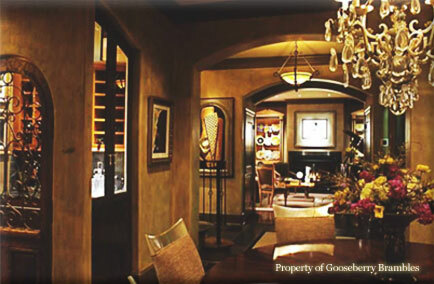 Gooseberry Brambles Interior Design LLC has designed magnificent interiors for families just like yours. Each room is lovingly planned, carefully selected and beautifully appointed to carry its owner's personal taste.